What are the Myths About Botox? Last week, on our KelownBotox.ca blog, we discussed the many myths that exist about BOTOX® injections. We likened the popular treatment to a “celebrity” that can’t help but get him or herself immersed in undeserved bad press. Some of the negative impressions about BOTOX® come thanks to unlicensed individuals who have no medical training to perform such injections. 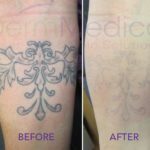 It is always recommended – in fact, insisted upon – that you consult a trained medical professional with any questions about receiving any BOTOX® treatments. Never put yourself in the hands of someone who is not professionally trained to perform the injections. In this week’s blog, we’d like to shed some light on a few more myths that exist about BOTOX®. 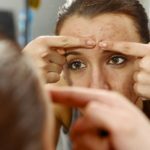 On PRlog.org, California physician, Dr. Simon Ourian writes that BOTOX® quite simply and unfairly gets a bad rap. Having performed countless procedures, Dr. Ourian knows all too well that, when done properly, BOTOX® provides patients with very gratifying results. However, there is still a misconception that exists about the treatment. Myth #5: BOTOX® injections are painful, and have unpleasant sensations. Contrary to what seems to be popular belief, BOTOX® injections are actually pain free. Dr. Ourian notes that his patients tell him that the closest comparison to anything unpleasant is a mosquito bite. Apparently, receiving an injection is not something to squirm over. Myth #6: You should wait until you are 30- something to get a BOTOX® injection. Actually, anyone who is 18 years of age or older may receive treatment. That is not to say that all teenagers are in need of what Dr. Ourian calls a “shot of beauty”. But he does note that teenagers who develop “mimic lines” have a better chance of tackling them at a younger age because the older you are, the harder it is for your skin to get used to the effects of BOTOX®. Myth #7: BOTOX® injections are only effective for facial lines. In fact, when I first heard of BOTOX®, this was a myth I believed in as well. Further research helped to unveil the truth. The popular treatment is also used in the aid of dystonias which refers to movement disorders such as writer’s cramp, facial spasms, head and neck tremors and even hyperhidrosis or excessive sweating. Myth #8: BOTOX® will poison my body”. Again, this is where working strictly with a professional comes into play. As with any type of medication, you will never want to take more than a recommended dosage. That includes Tylenol and Advil. So with BOTOX®, a typical patient receives approximately 20-70 units per treatment. Dr. Ourian notes that a fatal dose would be 100 times that much. Myth #9: BOTOX® is a dangerous toxin. Actually, the BOTOX® safety record is fantastic. With about 3 million procedures performed every year over the past 25 years and no long-term side effects having been seen yet, it’s safe to say that BOTOX® is safe to use.